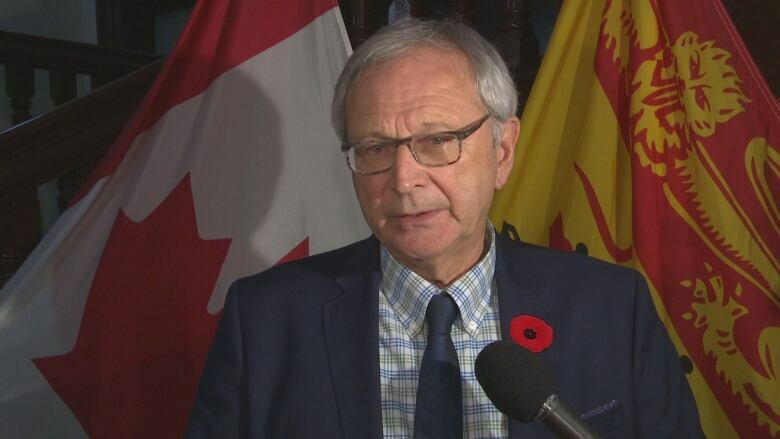 Blaine Higgs and his Progressive Conservative cabinet will be sworn into office Friday, just one week after Premier Brian Gallant's Liberal government lost a confidence vote. Blaine Higgs and his Progressive Conservative cabinet will be sworn into office Friday. 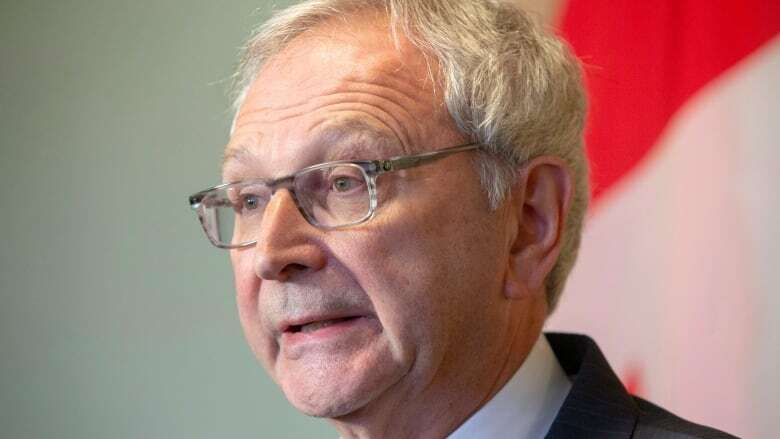 Higgs confirmed the day on Monday and said the fast transition to power, just one week after Premier Brian Gallant's Liberal government lost a confidence vote, will allow him to get down to work promptly. "Our target is still on track for what we said in terms of a quick plan, a quick move to government," the premier-designate told reporters during a break in briefings from the civil service. "I'm excited about that." The PC leader spent part of the weekend and most of Monday getting presentations from public servants, including on the state of the province's finances. That followed his visit to Government House on Friday, where Lt.-Gov. 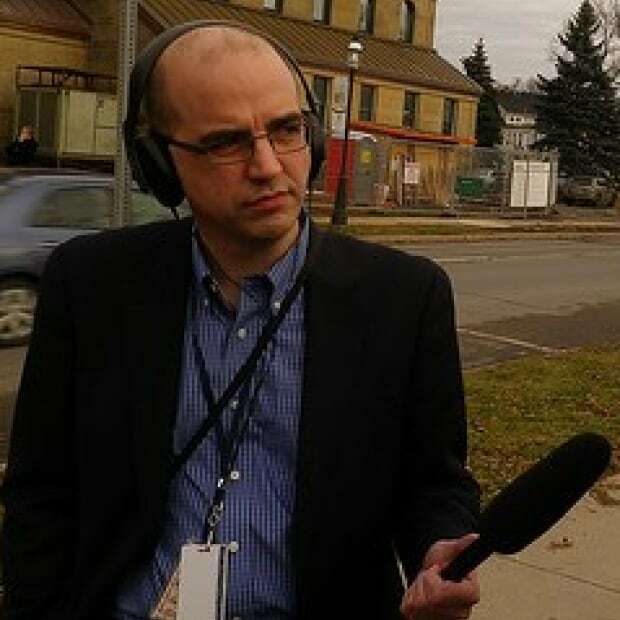 Jocelyne Roy Vienneau asked him to form a government following the Liberal defeat. "For me, this is the exciting part. This other stuff, I didn't find very exciting," he said, referring to the election campaign and its aftermath. "And it wasn't what I came to do. What I came to do was work with people to get results. So for me now, it's the fun part." Higgs said he didn't learn anything about the province's finances in his transition briefings that was any worse than what he'd been expecting. But he said he is still alarmed that government spending is growing at more than twice the rate of inflation. He said his goal remains to balance the budget by the 2020-21 fiscal year and persuade bond rating agencies to not downgrade the province's credit rating. "I want to stop the bleeding." A credit downgrade would lead to higher borrowing costs, which would in turn mean larger interest payments on the government's debt. What happens if New Brunswick defaults on its debt? Higgs will need the support of at least one other party in the legislature for his minority government to pass a throne speech and, eventually, a budget. The PCs hold 22 of 49 seats. The three People's Alliance MLAs have said they'll vote to keep the Tories in office for at least 18 months. What to do with Liberal projects? Higgs said the current fiscal year looks like it will end up where the Liberals budgeted, but some of their projects will only come to fruition — and hit the books as an addition to the debt — in 2021 or 2022. He did not say whether he'd cancel any of them. "We haven't got into the details of projects. We've just gotten into the overview." He's asking the civil service to go through where the new spending is going and tell him and his team whether it's needed. "Now if there are new programs that are getting results, and we're seeing that, and they can validate that, OK, there it is — you've got a justification," he said. "But we aren't at that phase yet." The premier-designate said he'll rely on the advice of civil servants as he takes office. "I don't come with a pre-packaged solution. I come with a plan on how to engage with people to help us fix the province." He also said laughingly that, given his own four years as finance minister and his keen interest in the province's books, he asked during his briefings whether he could take on the cabinet position himself while premier. "I thought, 'Why couldn't I do both?' I said, 'I could do that.' But I don't think that'll be the path forward. Let's just say it'll be good for me to be close to my finance minister." Higgs also said he would stick with his promise to develop a solution to the problem of ambulance response delays within a week of taking office. The PC leader wouldn't give many clues about who his cabinet choices will be, though he said he will look at which MLAs will be able to speak in both English and French. "Being able to communicate to all the voters will indeed be an important part of our government, so that obviously is a consideration," he said. Higgs also said he expects to see political staffers in Gallant's office depart by Friday, but other than that he is not planning a major house cleaning of people hired by the Liberals. "I just want to know that people have a commitment to New Brunswick and they're not going to play politics with me. That's all I want to know. I often give people the benefit of the doubt, and I want to do that here."